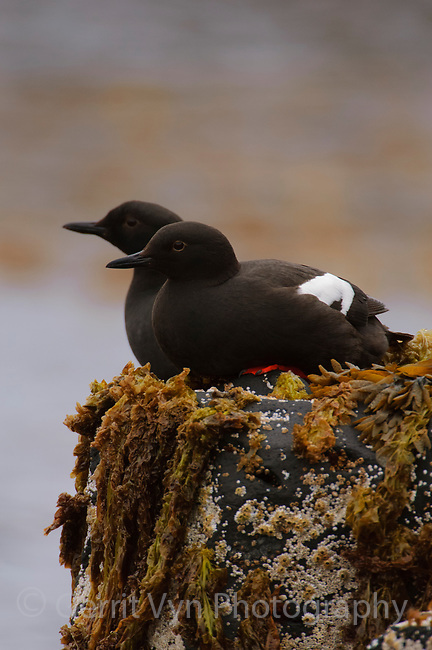 Pair of Pigeon Guillemots (Cepphus grylle) resting on coastal rocks. St. Lazaria Island. June.